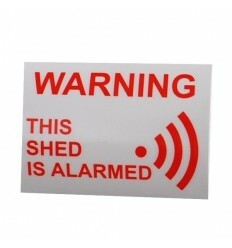 Most Orders Despatched within 1 – 2 working Days (stock located within our central warehouses, no hidden drop shipping). Special Projects normally Despatched within 5 – 10 working Days. Standard Delivery (despatched within 1 -2 working days, delivery 3 – 5 working days). Express Delivery (available Monday to Friday). Orders placed before midday will be despatched the same day and delivered in 2 working days: 16€. Parcels are Despatched using DPD or the Royal Mail (depending on size of order). If Deliveries are delayed with the Couriers due to circumstances beyond their control such as severe weather conditions or traffic accidents, we are afraid we cannot be held responsible, although we would always work with our customers and couriers to provide the best possible solutions. 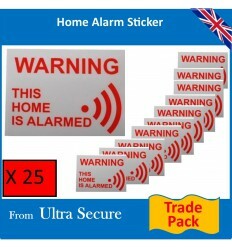 Ultra Secure Ltd was formed in 2003 and are a family run company based in the UK & France, we supply mail order goods all around Ireland & Europe. All products are stocked in our central warehouses and are fully tested before being sold, we pride ourselves on giving Honest & Professional Advice and after Sales Service (see more details). 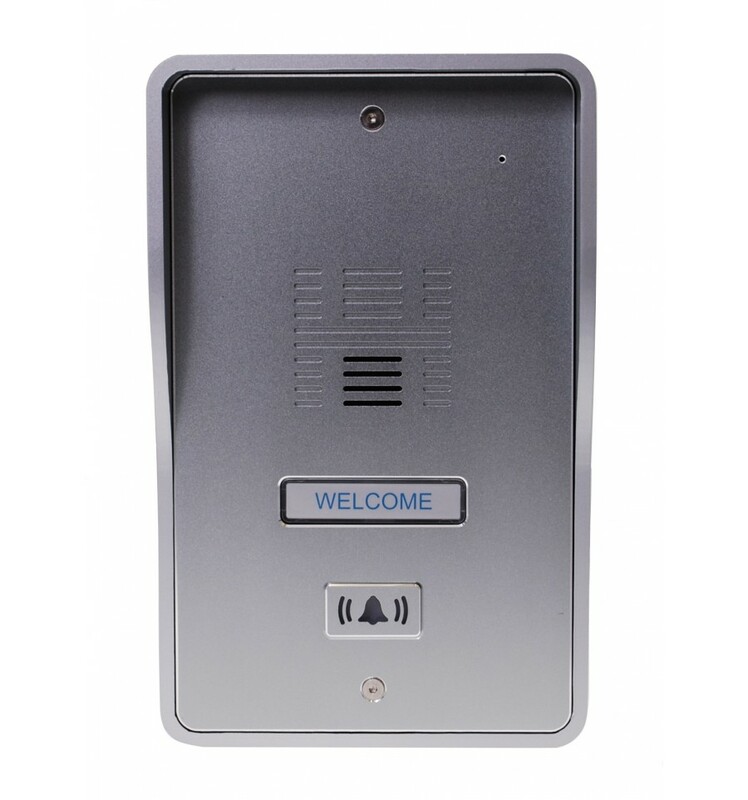 Quality single dwelling 3G GSM Audio Intercom allows home owners to communicate with visitors from anywhere in the world together with being able to release locked Gates & Door. 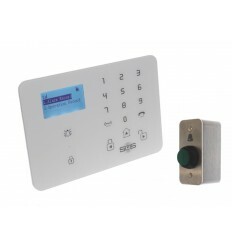 A Quality Single channel 3G GSM Audio Intercom allows home owners to communicate with visitors from anywhere in the world together with being able to release locked Gates & Doors. 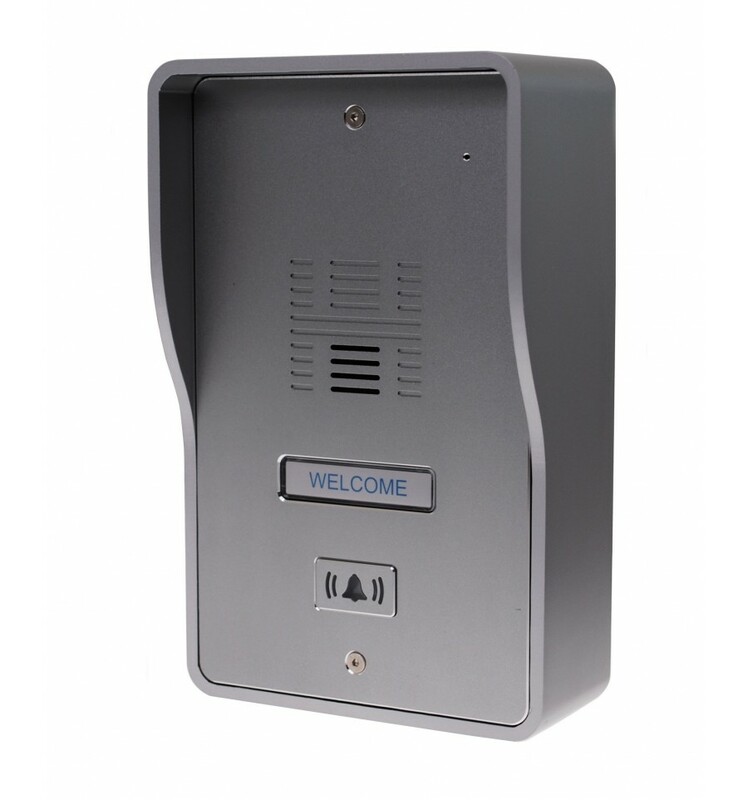 After having two way communication (from anywhere in the world) with the visitor, you can choose to release a locked Gate or Door (provided the intercom is obviously connected to one). 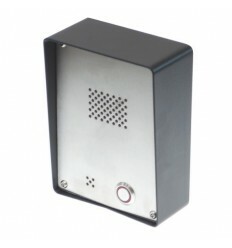 The Intercom operates using Mobile Phone technology (SIM Card) therefore a mobile phone signal is required at the location of the Intercom, the Intercom uses a standard size SIM Card (not supplied), but a Roaming SIM Card can be added in the shopping cart. 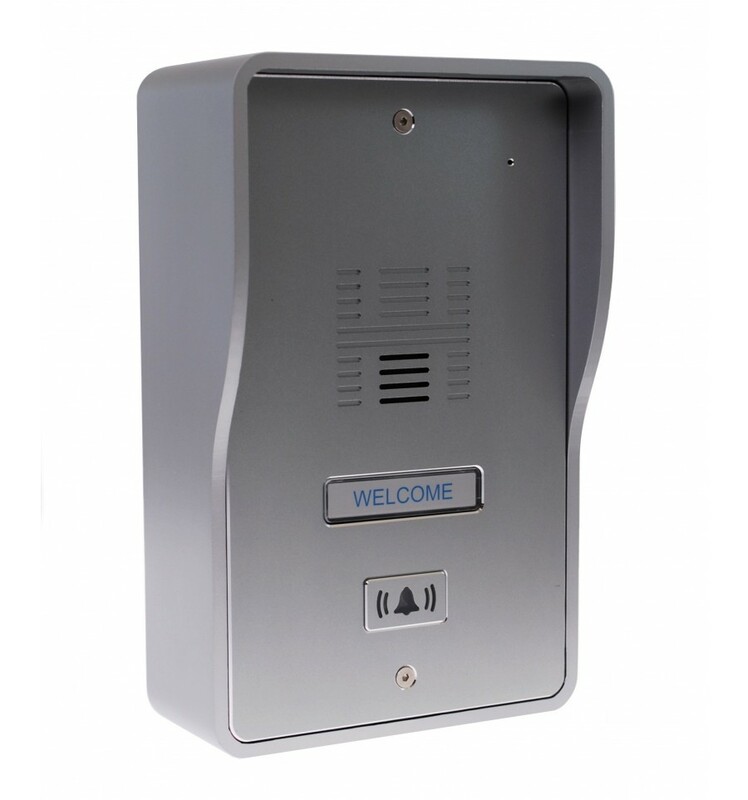 Up to 3 x Telephone Numbers can be programmed for the Intercom to call in sequence once the visitor has pressed the button (landline or mobile). 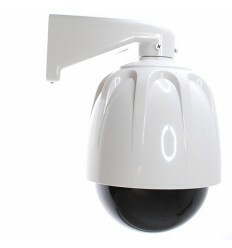 Sturdy Anti-Vandal Design (die cast aluminum). 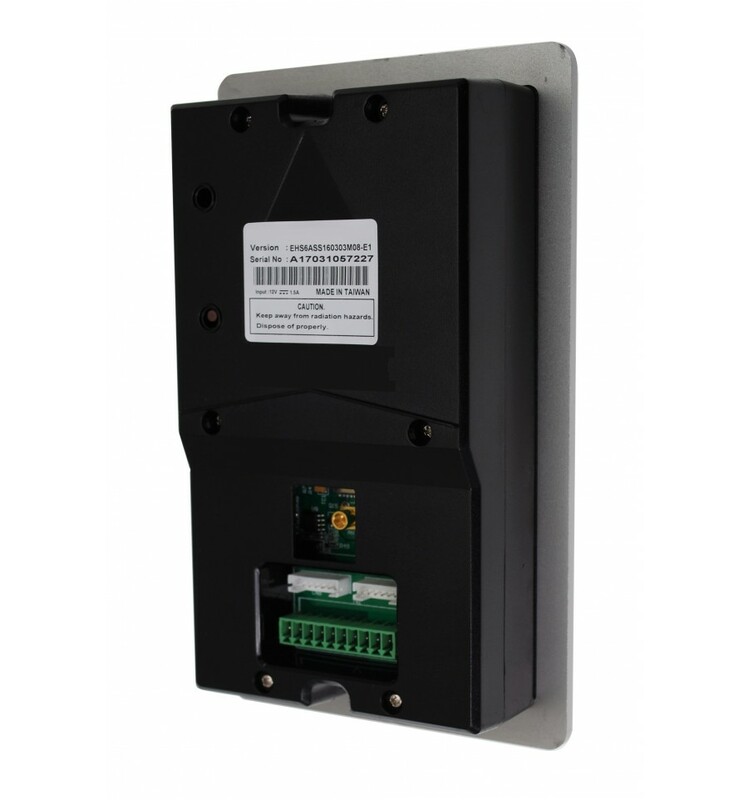 It has 2 x sets of N/O & N/C Output Relays (to operate gates, doors & locks). Adjusable Relay Duration (1 - 9999 seconds). The Relays can be activated after communication with a Visitor. Authorised Numbers can activate Output Relays by Telephone Call or SMS. 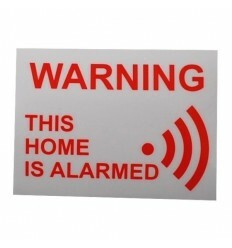 Supplied with a GSM Aerial with 3 metres of Cable (to help with network signals). Mobile Phone Signal Strength Test Available. Speaker & Microphone Volume Control. Adjustable time delay between the system calling the 1st, 2nd or 3rd Phone. 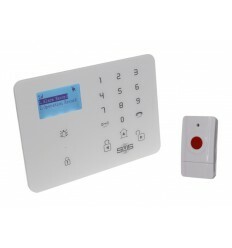 Optional Gate or Door Monitor (sms if triggered). 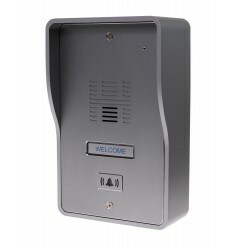 12 - 24v Power Supply: 3-pin Transformer Supplied (you can use outputs from the Gate or Door circuits). Option 12 - 24v DC Output (max 500 m/A). Easy & Quick to Install. Name Label (can be written on by owner). 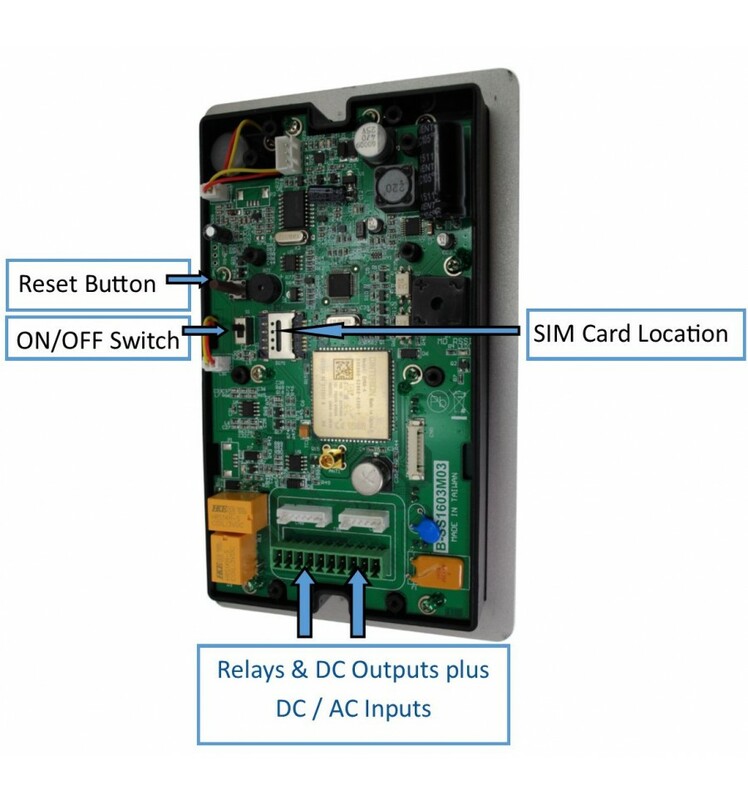 SIM Card Operated (not supplied as standard, due to various networks available). 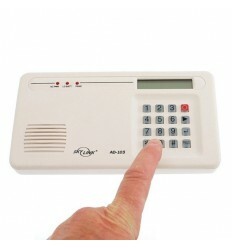 The Intercom is programmed by using Telephone Calls or SMS (text message) !! Visitor Arrives & Presses the Call Button. 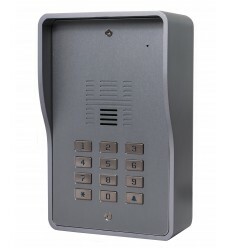 The Intercom calls the first key-holders programmed number (if it is not answered it will call the 2nd & 3rd programmed number). 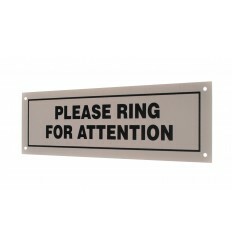 When a key-holder answers, two way communication is opened up between Family member and Visitor. Please Contact us for Advice !! 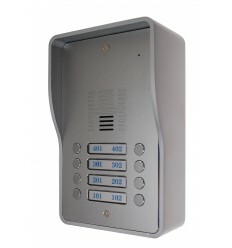 1 x 1 x channel 3G GSM Audio Intercom. 1 x 3-pin Plug in Power Supply. 1 x GSM Aerial with 3 metres of Cable & Mounting Bracket. Programming Method: Telephone Call or SMS. Telephone Numbers can be Programmed: 3 maximum. Size: 190 (H) x 118 (W) x 65 (D) mm. Relay Outputs: 2 (N/O & N/C). Relay Duration: Adjustable 1 - 9999 seconds). Relays Operation by Family Member Receiving the Call: Yes. Relays Operation by Telephone Call or SMS: Yes (authorised numbers only). GSM Aerial: Yes (supplied with 3 metres of Cable). Mobile Phone Signal Test: Yes (by SMS). Speaker & Microphone Volume Control: Yes (by SMS). Adjustable time delay between the system calling the 1st, 2nd or 3rd Family Member: Yes (by SMS). Listen in Function available: Yes. 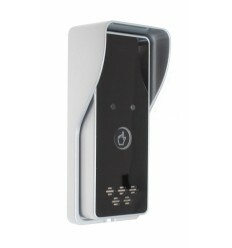 Optional Gate or Door Monitor: Yes (sms if triggered). 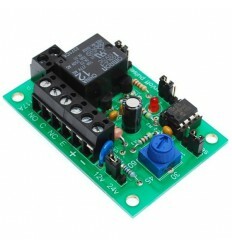 Power Supply: 12 - 24v DC (using power supply supplied or seperate output from the Gate or Door circuits). Name Label: Yes (can be written on by owner). SIM Card Operated: Yes (standard size not supplied as standard). 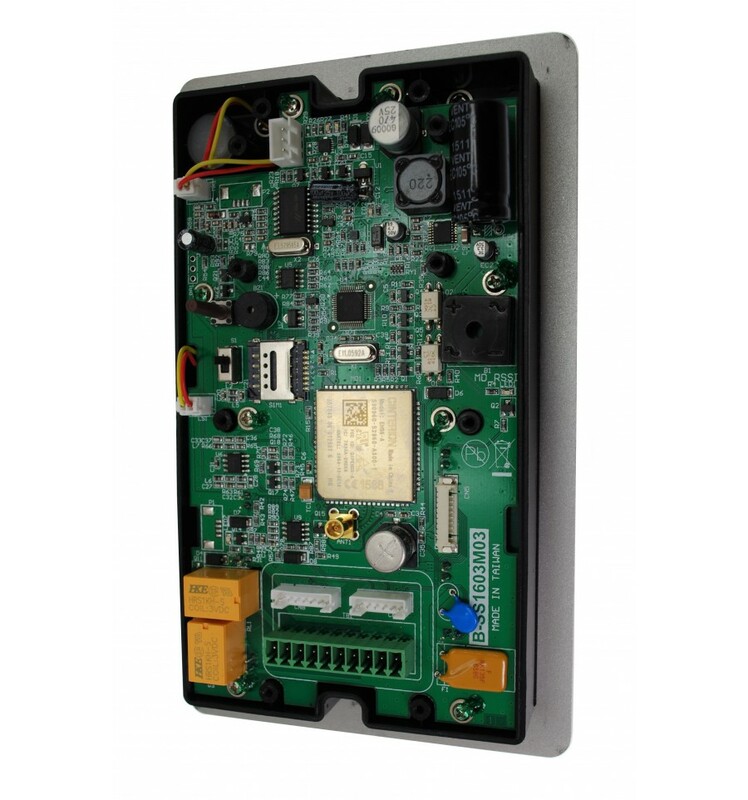 GSM Frequency: GSM 850/900/1800/1900 Mhz, WCDMA 800/850/900/1900/2100 Mhz. Humidity: Less than 80% RH. Operating Temperature: -20 to +50 Degrees.